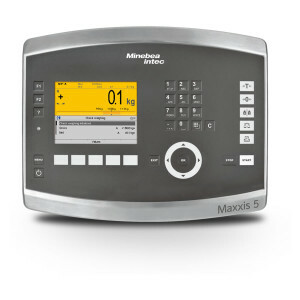 Weighing Terminal Combics Pro is a programmable stainless steel terminal for complex weighing tasks. The large color display makes a work on this unit very simple and intuitive. The keys and controls on the terminal are very clearly organized and allow a user to find the way around quickly. The display is backlit and features 20 mm length and 35 mm high digits to show the weight. Information in the readout is clearly visible even from the far distances. A bar graph in the display simplifies checkweighing and filling procedures. The large keys with positive click action and sound confirmation guide you along a pathway for error-free operation with the Combics Pro. The programming of the Combics Pro is easy and user-friendly with Minebea graphic functional modules. 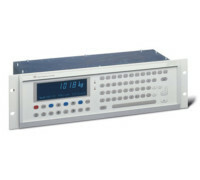 However, it can also be programmed in a higher-level language IEC61131. The goal of Combics Pro is simplifying work and designing it to be more reliable. Available applications: filling, formulation by hand, counting, checkweighing, totalizing, and batching. The housing of Combics Pro is hygienically designed and doesn’t have corners or edges (acc. EHEDG). It includes an alphanumeric keypad with a scratch-resistant overlay that keeps its shape, and specially made of AISI 304 stainless steel with an IP 67 protection class. It will be ideally suited even in environments with high hygienic standards. Category: Controllers. 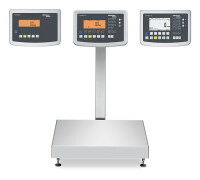 Tags: #Combics, #weighing terminal.